On the night after the draft, the Seattle SuperSonics traded seven-time All-Star Ray Allen along with the draft rights of the 35th pick Glen Davis to the Boston Celtics in exchange for Delonte West, Wally Szczerbiak, and the draft rights to the 5th pick, Jeff Green. The Portland Trail Blazers and the New York Knicks were also involved in a multi-player trade that sent Zach Randolph to the Knicks and Steve Francis to the Blazers. Apart from those two trades, nine further draft-day trades were announced. The 2007 draft marked the first time three players drafted in the top 10 came from the same school: the University of Florida. Florida, the 2007 National Collegiate Athletic Association (NCAA) Basketball champion, tied the record set by the University of Connecticut in 2006 with five players selected in the first two rounds of an NBA draft. Florida joined nine other schools, including Connecticut, that had five players selected in an NBA draft, second only to UNLV, which had six players selected in the eighth-round 1977 draft. Five players who competed in the 2007 NCAA Basketball National Championship Final were selected in the top 10; three players came from Florida, and two players came from the runner-up, Ohio State University. This draft also set the record number of freshmen drafted in the first round when eight freshmen were selected. Of the 60 players drafted, eight were freshmen, five were sophomores, 14 were juniors, 20 were seniors, and 13 were international players without U.S. college basketball experience. The Cleveland Cavaliers, Denver Nuggets, Indiana Pacers and Toronto Raptors all did not have a draft pick this year, although Indiana and Toronto each acquired a drafted player's rights after the draft. ^ a: Yi Jianlian's year of birth has been widely disputed, with several sources claiming that Chinese basketball authorities falsified his year of birth from 1984 to 1987 to allow him a longer period of competition in international junior tournaments. A dedicated section of Yi's Wikipedia article discusses this issue and includes sources. ^ b: Joakim Noah, who was born in the United States to a French father and a Swedish mother, has dual U.S. and French citizenship. He has represented France internationally since 2011. ^ c: Taurean Green, who was born in the United States, became a naturalized citizen of Georgia in 2010. He has represented Georgia internationally since 2010. These players were not selected in the 2007 NBA Draft but have played at least one game in the NBA. All drafted players must be at least 19 years of age during the calendar year of the draft (i.e., born on or before December 31, 1988). Any player who is not an "international player", as defined in the Collective Bargaining Agreement (CBA), must be at least one year removed from the graduation of his high school class. The CBA defines "international players" as players who permanently resided outside the U.S. for three years before the draft, did not complete high school in the U.S., and have never enrolled at a U.S. college or university. The basic requirement for automatic eligibility for a U.S. player is the completion of his college eligibility. Players who meet the CBA definition of "international players" are automatically eligible if their 22nd birthday falls during or before the calendar year of the draft (i.e., born on or before December 31, 1985). A player who is not automatically eligible must declare his eligibility for the draft by notifying the NBA offices in writing no later than 60 days before the draft. An early entry candidate is allowed to withdraw his eligibility for the draft by notifying the NBA offices in writing no later than 10 days before the draft. On June 19, 2007, NBA announced that 32 college players and 6 international players had filed as early-entry candidates for the 2007 Draft, while 46 players who had previously declared as early entry candidates had withdrawn from the draft. The first 14 picks in the draft belonged to teams that had missed the playoffs; the order was determined through a lottery. The lottery would determine the three teams that would obtain the first three picks on the draft. The remaining first-round picks and the second-round picks were assigned to teams in reverse order of their win-loss record in the previous season. On April 20, 2007, the NBA performed a tie-breaker to determine the order of the picks for teams with identical win-loss record. The lottery was held on May 22, 2007 in Secaucus, New Jersey. The Portland Trail Blazers, who had the seventh-worst record in the previous season, won the lottery with just a 5.3% chance to win. This was the fourth time that the Blazers had the first overall draft pick and the first time that the Blazers won the draft lottery since it was introduced in 1985. The Seattle SuperSonics, who had the fifth-worst record, and the Atlanta Hawks, who had the fourth-worst record, obtained the second and third pick, respectively. Three teams who had the worst records—the Memphis Grizzlies, the Boston Celtics and the Milwaukee Bucks—obtained the fourth, fifth and sixth pick, respectively. These were the lowest possible picks they could have obtained through the lottery. The most recent draft in which the three worst teams did not receive the top three picks was in 1993.
a 1 2 Seattle acquired Wally Szczerbiak, Delonte West, the draft rights to 5th pick Jeff Green and a 2008 second-round draft pick from Boston in exchange for Ray Allen and the draft rights to 35th pick Glen Davis. b 1 2 Golden State acquired the draft rights to 8th pick Brandan Wright from Charlotte in exchange for Jason Richardson and the draft rights to 36th pick Jermareo Davidson. c 1 2 Philadelphia acquired the draft rights to 20th pick Jason Smith from Miami in exchange for the draft rights to 21st pick Daequan Cook, a 2009 second-round draft pick and cash considerations. d Portland acquired James Jones and the draft rights to 24th pick Rudy Fernández from Phoenix in exchange for cash considerations. The trade was finalized on July 11, 2007.
e 1 2 Portland acquired the draft rights to 30th pick Petteri Koponen from Philadelphia in exchange for the draft rights to 42nd pick Derrick Byars and cash considerations. f Houston acquired the draft rights to 31st pick Carl Landry from Seattle in exchange for a 2008 second-round draft pick and cash considerations. g 1 2 Utah acquired the draft rights to 38th pick Kyrylo Fesenko from Philadelphia in exchange for the draft rights to 55th pick Herbert Hill and future draft considerations. h Indiana acquired the draft rights to 39th pick Stanko Barać from Miami in exchange for a 2009 second-round draft pick. i 1 2 Dallas acquired the draft rights to 44th pick Reyshawn Terry from Orlando in exchange for the draft rights to 60th pick Milovan Raković. j New York acquired Zach Randolph, Dan Dickau, Fred Jones and the draft rights to 53rd pick Demetris Nichols from Portland in exchange for Steve Francis, Channing Frye and a 2008 second-round draft pick. k Toronto acquired the draft rights to 58th pick Giorgos Printezis from San Antonio in exchange for a 2008 second-round draft pick. Before the draft, the following trades were made and resulted in exchanges of draft picks between the teams. l 1 2 3 On October 4, 2005, Chicago acquired an option to swap 2007 first-round draft picks, a 2006 first-round draft pick, 2007 and 2009 second-round draft picks, Tim Thomas, Michael Sweetney and Jermaine Jackson from New York in exchange for Eddy Curry and Antonio Davis. The options to swap 2007 first-round draft picks were exercised, hence Chicago acquired New York's first-round draft pick and New York acquired Chicago's first-round draft pick. Chicago used the 9th pick to draft Joakim Noah and New York used the 23rd pick to draft Wilson Chandler. m 1 2 On August 22, 2006, Atlanta acquired a 2007 first-round draft pick and cash considerations from Indiana in exchange for Al Harrington and John Edwards. Atlanta used the 11th pick to draft Acie Law. 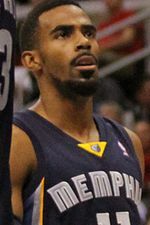 n On February 15, 2006, Detroit acquired a 2007 first-round draft pick and Kelvin Cato from Orlando in exchange for Darko Miličić and Carlos Arroyo. Detroit used the 15th pick to draft Rodney Stuckey. o 1 2 On December 19, 2006, Philadelphia acquired Denver's and Dallas' 2007 first-round draft picks, Andre Miller and Joe Smith from Denver in exchange for Allen Iverson and Ivan McFarlin. Previously, Denver acquired Dallas' 2007 first-round draft pick, Eduardo Nájera and Luis Flores on February 24, 2005 from Golden State in exchange for Rodney White and Nikoloz Tskitishvili. Earlier, Golden State acquired two future first-round draft picks, Eduardo Nájera, Christian Laettner, the draft rights to Luis Flores and Mladen Šekularac and cash considerations on August 24, 2004 from Dallas in exchange for Erick Dampier, Evan Eschmeyer, Dan Dickau and the draft rights to Steve Logan. Denver used the 21st and 30th picks to draft Daequan Cook and Petteri Koponen, respectively. p On June 23, 2004, Charlotte acquired Toronto's 2007 first-round draft pick from Cleveland in exchange for Sasha Pavlović. Previously, Cleveland acquired a 2007 first-round draft pick and Michael Stewart on September 25, 2002 from Toronto in exchange for Lamond Murray and a 2004 second round draft pick. Charlotte used the 22nd pick to draft Jared Dudley. q On June 28, 2006, Phoenix acquired Cleveland's 2007 first-round draft pick from Boston in exchange for Brian Grant, the draft rights to Rajon Rondo and cash considerations. Previously, Boston acquired a 2007 first-round draft pick on February 24, 2005 from Cleveland in exchange for Jiří Welsch. Phoenix used the 24th pick to draft Rudy Fernández. r On August 19, 2005, Phoenix acquired 2006 and future first-round draft picks and Boris Diaw from Atlanta in exchange for Joe Johnson. Atlanta's 2007 first-round draft pick was top-three protected and hence the pick was not conveyed to Phoenix. Instead, Atlanta would convey their 2008 first-round draft pick to Phoenix. 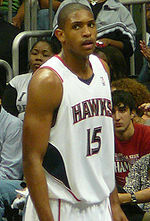 s On June 28, 2005, Seattle acquired 2006 and 2007 second-round draft picks from Memphis in exchange for the draft rights to Lawrence Roberts. Seattle used the 31st pick to draft Carl Landry. t On June 28, 2006, San Antonio acquired a 2007 second-round draft pick from Milwaukee in exchange for the draft rights to Damir Markota. San Antonio used the 33rd pick to draft Marcus Williams. u On February 22, 2007, Dallas acquired a 2007 second-round draft pick from Atlanta in exchange for Anthony Johnson. Dallas used the 34th pick to draft Nick Fazekas. v On February 21, 2002, Golden State acquired a 2007 second-round draft pick and Dean Garrett from Minnesota in exchange for Marc Jackson. Golden State used the 36th pick to draft Jermareo Davidson. w On June 28, 2006, Philadelphia acquired New York's 2007 second-round draft pick, the draft rights to Rodney Carney and cash considerations from Chicago in exchange for the draft rights to Thabo Sefolosha. Previously, Chicago acquired an option to swap 2007 first-round draft picks, a 2006 first-round draft pick, 2007 and 2009 second-round draft picks, Tim Thomas, Michael Sweetney and Jermaine Jackson on October 4, 2005 from New York in exchange for Eddy Curry and Antonio Davis. Philadelphia used the 38th pick to draft Kyrylo Fesenko. x On June 7, 2007, Miami acquired Sacramento's 2007 and Miami's 2008 second-round draft picks from Orlando as part of the hiring of Stan Van Gundy as Orlando's head coach. Previously, Orlando acquired Sacramento's second-round draft pick and DeShawn Stevenson on February 19, 2004 from Utah in exchange for Gordan Giriček. Earlier, Utah acquired 2004 and 2007 second-round draft picks and Keon Clark on August 3, 2003 from Sacramento in exchange for a 2004 second-round draft pick. Miami used the 39th pick to draft Stanko Barać. y On October 26, 2005, the L.A. Lakers acquired a 2007 second-round draft pick from Charlotte in exchange for Jumaine Jones. The L.A. Lakers used the 40th pick to draft Sun Yue. z On June 28, 2006, Minnesota acquired a 2007 second-round draft pick and cash considerations from Philadelphia in exchange for the draft rights to Bobby Jones. Minnesota used the 41st pick to draft Chris Richard. ab On February 14, 2005, Golden State acquired 2005 and 2007 second-round draft picks from New Jersey in exchange for Clifford Robinson. Golden State used the 46th pick to draft Stéphane Lasme. ac 1 2 On July 20, 2006, Chicago acquired Denver's and Golden State's 2007 second-round draft picks and Howard Eisley from Denver in exchange for J. R. Smith. Previously, Denver acquired Golden State's 2007 second-round draft pick on June 28, 2006 from Boston in exchange for the draft rights to Leon Powe. Beforehand, Boston acquired Golden State's 2007 second-round draft pick on February 8, 2005 from Phoenix in exchange for Walter McCarty and cash considerations. Earlier, Phoenix acquired 2007 and 2009 second-round draft picks on January 3, 2005 from Golden State in exchange for Žarko Čabarkapa. Chicago used the 49th and 51st picks to draft Aaron Gray and JamesOn Curry. ad On June 28, 2006, Dallas acquired Miami's 2007 second-round draft pick from the L.A. Lakers in exchange for the draft rights to J. R. Pinnock. Previously, the L.A. Lakers acquired a 2006 first-round draft pick, a 2007 second-round draft pick, Lamar Odom, Caron Butler and Brian Grant on July 14, 2004 from Miami in exchange for Shaquille O'Neal. Dallas used the 50th pick to draft Renaldas Seibutis. ae On October 10, 1997, Portland acquired a 2007 second-round draft pick from Toronto in a three-team trade with Toronto and New York. Portland used the 52nd pick to draft Taurean Green. af On June 28, 2006, Portland acquired a 2007 second-round draft pick and the draft rights to LaMarcus Aldridge from Chicago in exchange for the draft rights to Tyrus Thomas and Viktor Khryapa. Portland used the 53rd pick to draft Demetris Nichols. ag Hours before the start of the draft, Houston acquired the 54th pick from Orlando in exchange for cash considerations. Previously, Orlando acquired 2005 and 2007 second-round draft picks and Tony Battie on July 23, 2004 from Cleveland in exchange for Drew Gooden, Steven Hunter and Anderson Varejão. Houston used the 54th pick to draft Brad Newley. ah On February 24, 2005, Milwaukee acquired 2006 and 2007 second-round draft picks and Reece Gaines from Houston in exchange for Mike James and Zendon Hamilton. Milwaukee used the 56th pick to draft Ramon Sessions. "2007 NBA Draft". basketball-reference.com. Retrieved June 29, 2009. "2007 NBA Draft Board". NBA. Retrieved June 29, 2009. ^ "2007 NBA Draft Draws Increased Global Interest". NBA. June 26, 2007. Retrieved August 24, 2009. ^ "Trail Blazers take ex-Ohio State star Oden with top choice". ESPN. June 29, 2007. Retrieved August 6, 2009. ^ "Oden's recovery from surgery likely in range of 6–12 months". ESPN. September 14, 2007. Retrieved August 6, 2009. ^ Mahoney, Brian (June 29, 2007). "Oden to Blazers, Oden to Sonics". USA Today. Retrieved August 6, 2009. 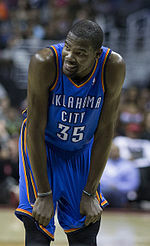 ^ "Kevin Durant Named T-Mobile Rookie of the Year". NBA. May 1, 2008. Archived from the original on April 29, 2009. Retrieved April 23, 2009. ^ Lee, Michael (June 29, 2007). "A Case of Natural Selection". The Washington Post. Archived from the original on August 11, 2009. Retrieved August 6, 2009. ^ Lawlor, Christopher (June 29, 2007). "Notes: No. 3 pick Horford eager to help Hawks". USA Today. Retrieved August 6, 2009. ^ "Sonics' Allen traded to Celts for Wally, West & Green". ESPN. June 29, 2007. Retrieved August 6, 2009. ^ "Randolph heading to Knicks, Francis shipped to Blazers in draft-day trade". ESPN. June 29, 2007. Retrieved August 6, 2009. ^ a b "NBA draft-day trade overview". ESPN. June 29, 2007. Retrieved August 6, 2009. ^ DuPree, David (June 28, 2007). "Florida trio tapped in top 10; Celts land Ray Allen". USA Today. Retrieved May 3, 2009. ^ a b Carey, Jack (June 28, 2007). "First round awaits Gators after second collegiate title". USA Today. Retrieved August 6, 2009. ^ "NBA Draft Superlatives". CBS College Sports. CSTV Networks, Inc. June 29, 2007. Archived from the original on August 11, 2009. Retrieved August 6, 2009. ^ "Portland Selects Oden With Top Pick". Channel3000.com. Internet Broadcasting Systems, Inc. June 29, 2007. Archived from the original on August 11, 2009. Retrieved August 7, 2009. ^ "Freshmen could produce record number in the '08 draft". ESPN. June 24, 2008. Retrieved August 6, 2009. ^ a b c d e f "Final Early Entry Candidates for 2007 NBA Draft". NBA. June 21, 2007. Archived from the original on May 17, 2009. Retrieved May 3, 2009. ^ "Rudy Fernandez Draft 2007 Profile". NBA. Retrieved August 19, 2009. ^ "Tiago Splitter Draft 2007 Profile". NBA. Retrieved August 19, 2009. ^ "Petteri Koponen Stats – ESPN". Espn.go.com. April 13, 1988. Retrieved November 9, 2012. ^ "Stanko Barac Stats - ESPN". Espn.go.com. August 8, 1986. Retrieved November 9, 2012. ^ "Yue Sun Draft 2007 Profile". NBA. Retrieved August 19, 2009. ^ "Adam Haluska Stats – ESPN". Espn.go.com. November 16, 1983. Retrieved November 9, 2012. ^ "Reyshawn Terry Stats – ESPN". Espn.go.com. April 7, 1984. Retrieved November 9, 2012. ^ "Jared Jordan Stats – ESPN". Espn.go.com. October 14, 1984. Retrieved November 9, 2012. ^ "Marc Gasol Draft 2007 Profile". NBA. Retrieved August 19, 2009. ^ "Renaldas Seibutis Stats – ESPN". Espn.go.com. July 23, 1985. Retrieved November 9, 2012. ^ "Renaldas Seibutis Draft 2007 Profile". Retrieved August 19, 2009. ^ "Brad Newley Stats – ESPN". Espn.go.com. February 18, 1985. Retrieved November 9, 2012. ^ "Brad Newley Draft 2007 Profile". Retrieved August 19, 2009. ^ "Herbert Hill Stats – ESPN". Espn.go.com. October 1, 1984. Retrieved November 9, 2012. ^ "Sammy Mejia Stats – ESPN". Espn.go.com. February 7, 1983. Retrieved November 9, 2012. ^ "Giorgos Printezis Stats – ESPN". Espn.go.com. February 22, 1985. Retrieved November 9, 2012. ^ "Giorgos Printezis Draft 2007 Profile". Retrieved August 19, 2009. ^ "Milovan Rakovic Draft 2007 Profile". Retrieved August 19, 2009. ^ "Noah cleared to play for France". FIBA. FIBA. August 10, 2007. Retrieved May 1, 2009. ^ "Pau Show as Spain Down France". FIBA Europe. FIBA. August 9, 2011. Retrieved August 15, 2011. ^ a b "2005 NBA Collective Bargaining Agreement: Article X, Section 1(b)(i)". NBPA.com. National Basketball Players Association. Archived from the original on February 27, 2008. Retrieved April 17, 2008. ^ "2005 NBA Collective Bargaining Agreement: Article X, Section 1(c)". NBPA.com. National Basketball Players Association. Archived from the original on February 27, 2008. Retrieved April 17, 2008. ^ "2005 NBA Collective Bargaining Agreement: Article X, Section 1(b)(ii)". NBPA.com. National Basketball Players Association. Archived from the original on February 27, 2008. Retrieved April 17, 2008. ^ "2005 NBA Collective Bargaining Agreement: Article X, Section 1(b)(ii)(G)(1)". NBPA.com. National Basketball Players Association. Archived from the original on February 27, 2008. Retrieved April 17, 2008. ^ "2005 NBA Collective Bargaining Agreement: Article X, Section 1(b)(ii)(F)". NBPA.com. National Basketball Players Association. Archived from the original on February 27, 2008. Retrieved April 17, 2008. ^ "2005 NBA Collective Bargaining Agreement: Article X, Section 1(b)(ii)(G)(3)". NBPA.com. National Basketball Players Association. Archived from the original on February 27, 2008. Retrieved April 17, 2008. ^ "2005 NBA Collective Bargaining Agreement: Article X, Section 8(c)". NBPA.com. National Basketball Players Association. Archived from the original on February 27, 2008. Retrieved April 17, 2008. ^ "Ties Broken for NBA Draft 2007 Order of Selection". NBA. April 20, 2007. Archived from the original on May 29, 2009. Retrieved May 3, 2009. ^ a b "Blazers Win Draft Lottery". NBA. May 22, 2007. Retrieved April 23, 2009. ^ "Trail Blazers Win NBA Draft Lottery, Followed by Sonics, Hawks". Bloomberg L.P. Bloomberg L.P. May 23, 2007. Archived from the original on September 27, 2009. Retrieved August 6, 2009. ^ "Blazers get No. 1 pick; Celtics, Grizzlies slip down". ESPN. May 23, 2007. Retrieved August 6, 2009. ^ Canavan, Tom (May 23, 2007). "Trail Blazers' lottery win angers West". USA Today. Retrieved August 7, 2009. ^ "Inside The Numbers: 2007 Draft Lottery Demystified". NBA. April 23, 2007. Archived from the original on May 27, 2007. Retrieved May 22, 2007. ^ "Results of 2007 NBA Draft Lottery". NBA. May 22, 2007. Retrieved May 9, 2009. ^ "NBA Draft Lottery – Probabilities for the 2007 Draft Lottery" (PDF). NBA. April 24, 2007. Retrieved August 16, 2009. ^ a b "Wheelin' and Dealin'". NBA. June 28, 2007. Retrieved May 1, 2009. ^ a b "Sonics Acquire Green, Szczerbiak and West in Trade With Boston". NBA. June 28, 2007. Retrieved May 1, 2009. ^ "Bobcats Acquire Richardson, Rights To Davidson From Warriors". NBA. June 28, 2007. Archived from the original on December 3, 2009. Retrieved June 28, 2009. ^ a b c "Sixers Acquire Thaddeus Young, Jason Smith, Derrick Byars and Herbert Hill in 2007 NBA Draft". NBA. June 28, 2007. Archived from the original on January 3, 2009. Retrieved June 28, 2009. ^ "Trail Blazers Acquire James Jones and Draft Rights to Rudy Fernandez, Waive Steve Francis". NBA. July 11, 2007. Retrieved June 28, 2009. ^ "Pacers Make Trade for 2nd-Round Pick Barać". NBA. June 28, 2007. Archived from the original on April 23, 2009. Retrieved April 18, 2009. ^ "Magic Obtain Draft Rights to Milovan Rakovic From Dallas". NBA. June 28, 2007. Retrieved June 28, 2009. ^ "Knicks Acquire Randolph, Dickau and Jones". NBA. June 28, 2007. Retrieved May 1, 2009. ^ "Raptors Acquire Draft Rights to Giorgos Printezis". NBA. June 28, 2007. Archived from the original on March 6, 2009. Retrieved March 29, 2009. ^ a b "Bulls Re-Sign Curry, Complete Sign-and-Trade with Knicks". NBA.com/Bulls. Turner Sports Interactive, Inc. October 4, 2005. Retrieved May 1, 2009. ^ "Hawks Acquire 2007 First-Round Draft Pick from Indiana". NBA. August 22, 2006. Retrieved May 1, 2009. ^ "Pistons Acquire Future First round Draft Choice and Center Kelvin Cato From the Orlando Magic in Exchange for Darko Milicic and Carlos Arroyo". NBA. February 15, 2006. Retrieved May 1, 2009. ^ "76ers Trade Allen Iverson to Denver Nuggets for Andre Miller, Joe Smith, and Two First round Draft Picks". NBA. December 19, 2006. Archived from the original on March 27, 2009. Retrieved May 1, 2009. ^ "Warriors Acquire Rodney White and Nikoloz Tskitishvili from Denver". NBA. February 24, 2005. Retrieved May 1, 2009. ^ "Warriors And Dallas Consummate Eight-Player Trade". NBA. August 24, 2004. Archived from the original on March 8, 2009. Retrieved May 1, 2009. ^ "Bobcats Acquire Draft Picks in Two Trades". NBA. June 23, 2004. Archived from the original on March 21, 2010. Retrieved May 2, 2009. ^ "Raptors Acquire Lamond Murray". NBA. September 25, 2002. Retrieved May 2, 2009. ^ "Celtics Acquire Draft Rights to Rajon Rondo and Brian Grant". NBA. June 28, 2006. Archived from the original on June 14, 2009. Retrieved May 2, 2009. ^ "Cavaliers Acquire Jiri Welsch from Celtics". NBA. February 24, 2005. Retrieved May 2, 2009. ^ "Johnson Trade to Atlanta Completed". NBA. August 19, 2005. Archived from the original on May 1, 2009. Retrieved March 29, 2009. ^ "Grizzlies Acquire Draft Rights to Lawrence Roberts from Seattle for Two Future Second round Picks and Cash Considerations". NBA. June 28, 2005. Retrieved May 3, 2009. ^ "Bucks Acquire Damir Markota in Draft Night Trade". NBA. June 28, 2006. Retrieved May 3, 2009. ^ "Hawks Acquire Anthony Johnson". NBA. February 22, 2007. Retrieved May 3, 2009. ^ "Warriors Acquire Dean Garrett and Future Draft Choice From Minnesota". NBA. February 21, 2002. Retrieved May 3, 2009. ^ a b "76ers Acquire Rodney Carney from Chicago in a Draft-Night Trade". NBA. June 28, 2006. Archived from the original on February 11, 2009. Retrieved May 3, 2009. ^ "Magic close book on Donovan by hiring Van Gundy". ESPN. June 8, 2007. Retrieved May 3, 2009. ^ "Magic Acquire DeShawn Stevenson from Utah". NBA. February 19, 2004. Retrieved May 3, 2009. ^ "Jazz Acquire Clark". NBA. August 5, 2003. Retrieved May 3, 2009. ^ "Bobcats Acquire Jumaine Jones". NBA. October 26, 2005. Archived from the original on January 3, 2009. Retrieved May 3, 2009. ^ a b "Trail Blazers Land Brandon Roy and LaMarcus Aldridge". NBA. June 28, 2006. Retrieved May 3, 2009. ^ "Warriors Trade Clifford Robinson To New Jersey Nets". NBA. February 14, 2005. Archived from the original on April 29, 2009. Retrieved May 3, 2009. ^ "Nuggets Acquire J.R. Smith from Bulls". NBA. July 20, 2006. Archived from the original on May 24, 2009. Retrieved May 3, 2009. ^ "Celtics Acquire Draft Rights to Leon Powe". NBA. June 28, 2006. Archived from the original on May 3, 2009. Retrieved May 3, 2009. ^ "Suns Acquire McCarty from Celtics". NBA. February 8, 2005. Retrieved May 3, 2009. ^ "Suns Trade Zarko Cabarkapa to Golden State". NBA. January 3, 2005. Archived from the original on April 23, 2009. Retrieved May 3, 2009. ^ "Lakers Sign J.R. Pinnock". NBA. September 6, 2006. Retrieved May 3, 2009. ^ "Lakers Acquire Odom, Butler, Grant and a Future First rounder for Shaq:". NBA. July 14, 2004. Retrieved May 6, 2009. ^ Wise, Mike (October 11, 1997). "Pro Basketball; Wrangling Is Over: Dudley's A Knick". The New York Times. Retrieved June 28, 2009. ^ "Cavaliers Acquire Gooden, Hunter, and Varejao from Orlando". NBA. July 23, 2004. Retrieved May 3, 2009. ^ "Houston Rockets Acquire James and Hamilton". NBA. February 24, 2005. Retrieved May 3, 2009. "2007 NBA Draft Class: Grades & Analysis". Archived from the original on November 7, 2016. Retrieved November 6, 2016.